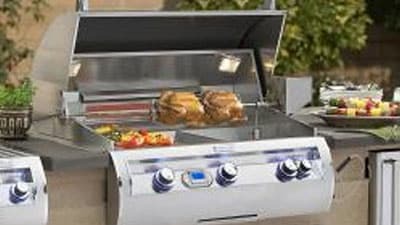 Our Fire Magic experts are here to give you advice and offer free outdoor kitchen design services. From inspiration and planning, to placing your order, we are here to help. Give us a call at 1-877-743-2269 to start designing your dream Fire Magic outdoor kitchen. Prepare sauces and side dishes conveniently in your BBQ Island.